So NaNoWri Mo is just days away from finishing and you haven’t hit that elusive 50k. Don’t worry! 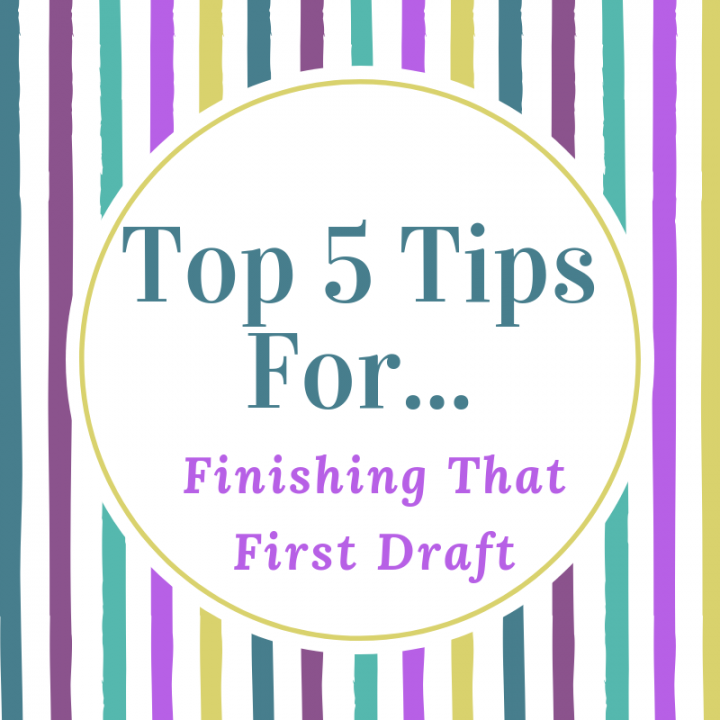 Here are my top five tips for getting that first draft finished! Don’t think, just get the words down. Don’t worry about what your MC’s eye colour was the last time you mentioned it, you can fix continuity errors later. Don’t worry about picking just the right word, you can change all that during line edits! The important thing for getting finished is just to get something down that you can edit later. I know people who write a sentence or two on their phones, I know people who write to themselves in email because they’ve just figured out the next line in their WIP (work in progress). Just write what you can, when you can and you’ll soon find those odd little moments where you write twenty or thirty words all add up to hundred of words a day, or thousands of words a week. Just keep plodding away and it all adds up to a finished first draft! Even though I plot out my stories I often find I discover the real story as I go. When writing a character I might change their back story from what I originally planned because it feels more real as the character comes to life. Your story doesn’t have to be 100% what you thought it might be during this first draft. The first draft is really just an exploration of your idea. It’s definitely not the end product so don’t let changes slow you down. Bearing in mind what I said above in number three, if you’re worried about not remembering all the changes you want to make when you start editing, make notes! Have a notebook to hand, or track changes on your document. I use Word and I’m forever leaving myself notes like, ‘fact check this,’ or ‘insert romantic tension here!’ or even, ‘make this character a complete d**k in this bit’. Whatever way you choose to do it, make a note then get back to hammering out those words so you don’t lose momentum. If you really want to get that novel written you have to put in the time. No one else can write your story for you! If you want the credit you have to do the work, so lose the excuses, grab a cup of tea/coffee/tequila and get started! Now you’ve finished that first draft, make sure you put it aside for at least a few weeks so when you come back to it you’ll be much more objective and can begin to polish it up into a full-on, query-ready manuscript!